SALE! 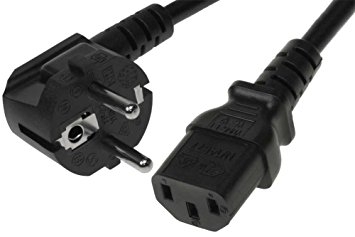 120cm (4-feet) EU type power cord with C13. For use with computers, monitors, most printers and various other devices and power supplies. EU type molded computer power cord C13. For use with computers, monitors, most printer and various other devices and power supplies.